Pasta is quite possibly the ultimate comfort food for me. And while I can make a pretty decent carbonara, homemade ravioli is something I rarely (okay, never) attempt to make. Fortunately, my neighborhood is home to Regal Ravioli, where I have become quite acquainted with the food. Owner Zach Adams has his trailer parked in a lot behind a blue house at 504 W. Oltorf (next to Church's Fried Chicken, just east of the intersection of Oltorf and South First). The house is the indoor seating for Regal Ravioli and my good friends at The Flying Carpet. Order food at either trailer, and they'll happily bring it to you inside the house, or you can dine outside at one of the picnic tables. Credit cards are accepted, and you're welcome to bring your own wine or beer. I have visited Regal Ravioli a number of times in the past two years, and there is always a nice variety on the menu that would please vegetarians and carnivores alike, not to mention adults and children. Basically, you pick your ideal ravioli and the type of sauce you want to go with it. 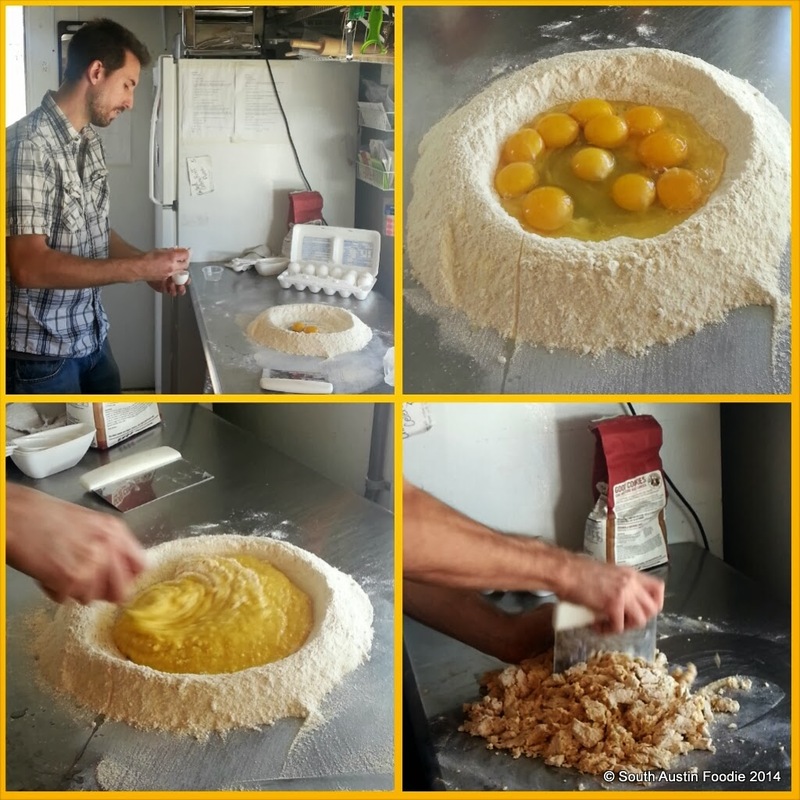 Zach starts everything out though with homemade pasta, which I happened to catch him making on my most recent visit. One batch of pasta dough will make about eight servings of ravioli, I believe he said, so he makes multiple batches throughout the day. He also makes different doughs for different dishes. It's a very well stocked and organized trailer, and he makes everything right there in the trailer. 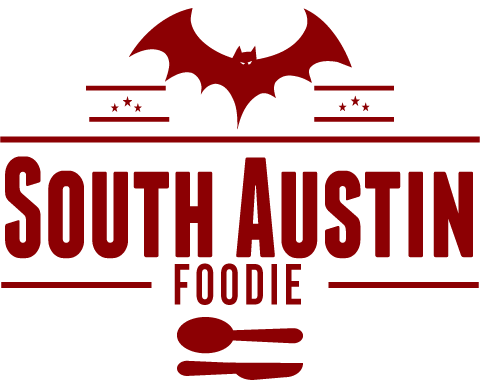 Regal Ravioli's logo proclaims they are the king of ravioli in Austin, to which I would add king of gnocchi as well! Their sweet potato gnocchi with bolognese sauce is something I crave and it's hard for me not to order it every time I am there! The individual gnocchi are consistently light and pillowy, and rival any gnocchi I've had at Enoteca or Buenos Aries Cafe, two area brick and mortar restaurants with generally outstanding gnocchi. (And even if you're not a sweet potato fan, you wouldn't know you're eating sweet potatoes!) The meat sauce is hearty without being heavy, and accompanies the gnocchi nicely. I'd love to see what other kinds of gnocchi dishes they could make! 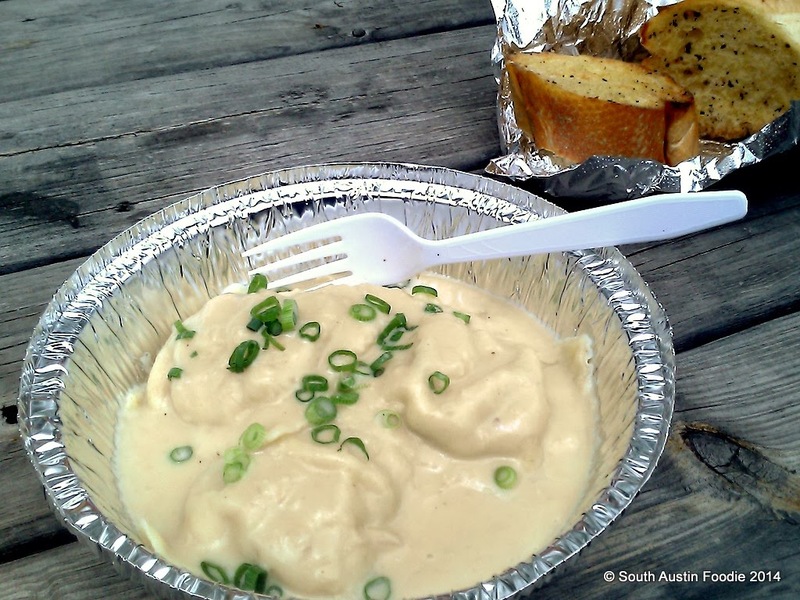 This is the sausage ravioli with a gouda veloute sauce; simple and clean presentation with outstanding body and flavor. 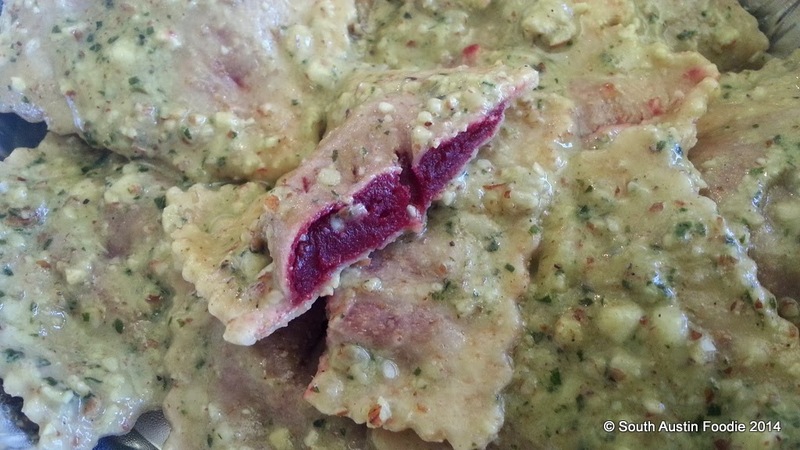 This is one of their recent specials, a roasted beet ravioli with caramelized onions and a touch of orange zest. Zach's suggestion was to pair it with the pecan pesto sauce, and it was terrific. Earthiness from the beets, a little bit of zip from the pesto, it was a great combination. One special that I've had in the past that's not pictured was a cheese and spinach ravioli with a blue cheese sauce that also had great flavor. They also have a few salads on the menu, including a pear and lentil, which I've tasted and really liked. 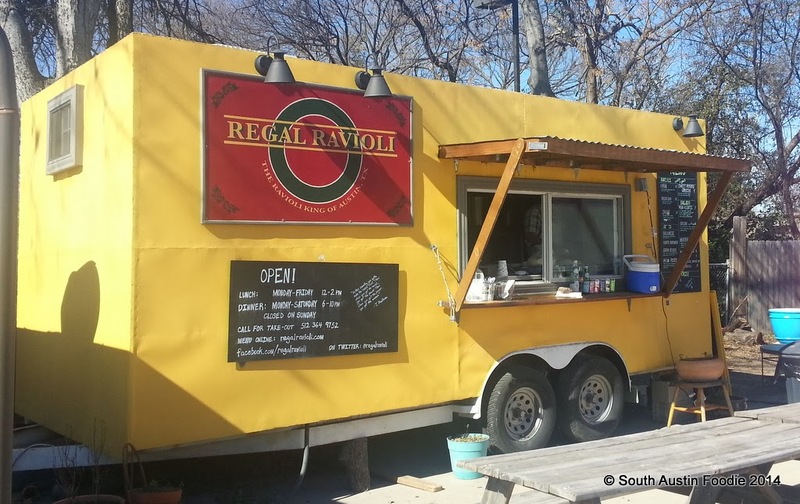 As with many trailers, Regal Ravioli is a one-man operation. Zach owns it, does all the cooking, etc. Occasionally I have seen a helper in the trailer, but Zach's the main guy. If he can't go, then the trailer won't open that day; check their Facebook or Twitter accounts for status updates and specials. Zach and his business partner have recently purchased a second trailer that they will use for mobile operations at events, festivals, and the like. He also told me they're working on some new dishes, like roast pork, and they do catering too! 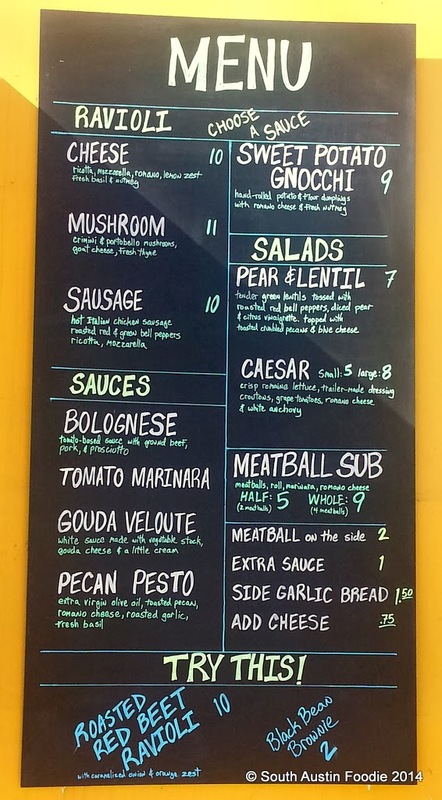 So if you're looking for a great food trailer experience, go check out Regal Ravioli for a big bowl of freshly made pasta and sauce that are as good, if not better (and certainly a better value) than some of the well-known Italian restaurants in town. The ravioli truly is regal! Loved the write-up. Can't wait to try his pasta. 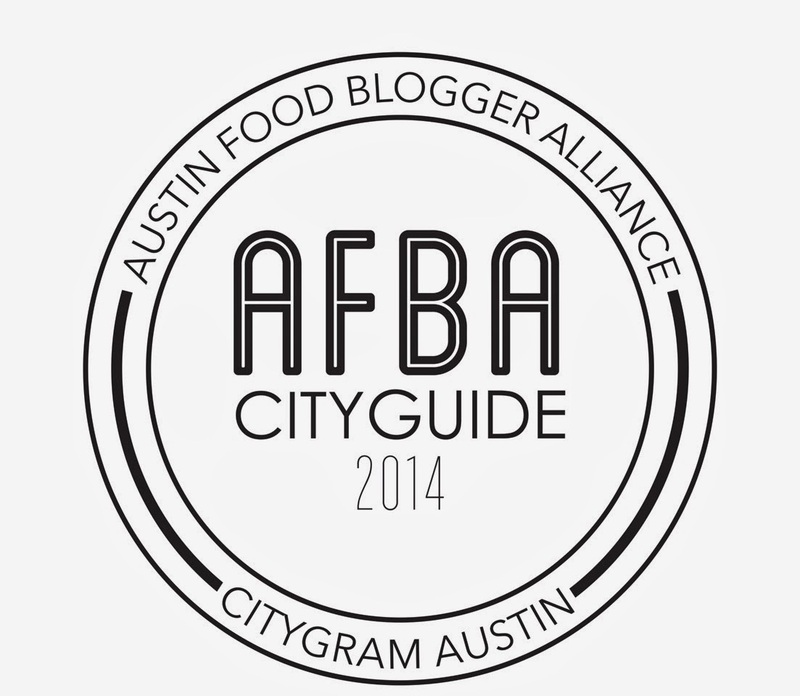 I need to get over there and try some gnocchi, stat. 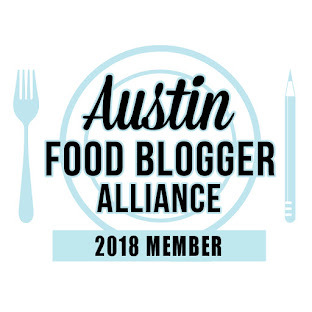 Great write-up! Just holler! I can meet you there with a bottle of vino!